If you have been injured in a recreational boat accident, you will have some choices about who you turn to for legal help. The Boston area has numerous personal injury litigation firms who will say that they can help you get maximum compensation for your injuries. The truth is, though, most personal injury attorneys don’t understand the nuances involved in accidents that take place on the water. Admiralty and maritime law isn’t like land-based common law. Your attorney’s experience will make a significant difference in the outcome of your claim. It makes sense to hire a trial lawyer with broad experience and skill in maritime litigation. 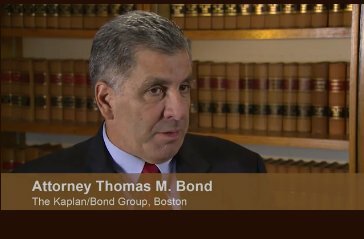 THE KAPLAN/BOND GROUP is one of the nation’s prominent personal injury trial law firms representing clients injured in recreational boating and ship accidents. We are the law firm professional seamen turn to when they suffer an injury at sea. We have a successful record of verdicts and settlements against many of the largest corporations and insurance companies in the nation. Our trial attorneys are well-trained in all aspects of litigation, particularly in legal areas involving recreational boating in our local harbors and waterways. Attorneys not familiar with admiralty, maritime and recreational boating law often miss important deadlines for filing under specific requirements of maritime law. We know the requirements for filing and discovery of evidence. It’s just one important area our experience makes a difference. We are aggressive and well-respected in the legal community. Our reputation for excellence serves our clients well in courts at every level. Most recently, our representation of an injured seaman led to another major victory in the United States Supreme Court: Stewart v. Dutra Const. Co., 543 U.S. 481 (2005). Call us at (617) 261-0080 or contact our Boston, Massachusetts office by email to arrange a free consultation. THE KAPLAN/BOND GROUP represents people nationwide.